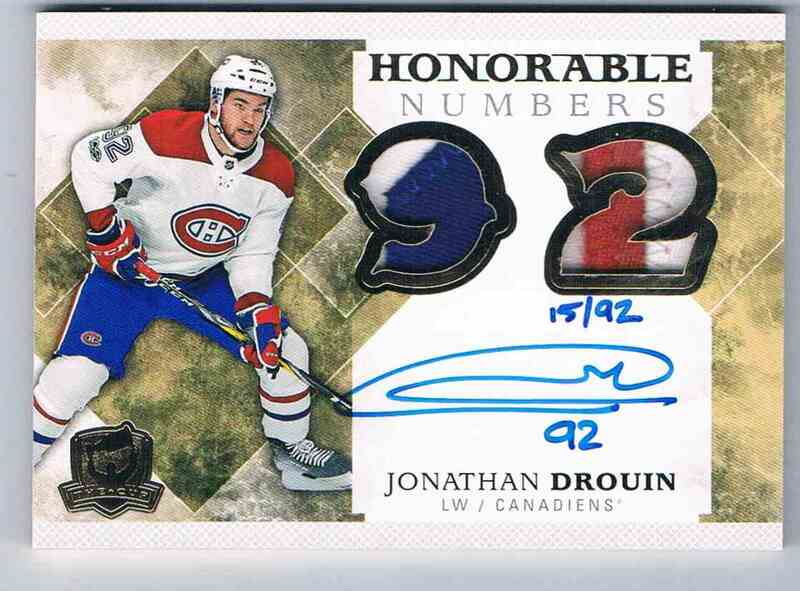 This is a autographed Hockey trading card of Jonathan Drouin, Montreal Canadiens. 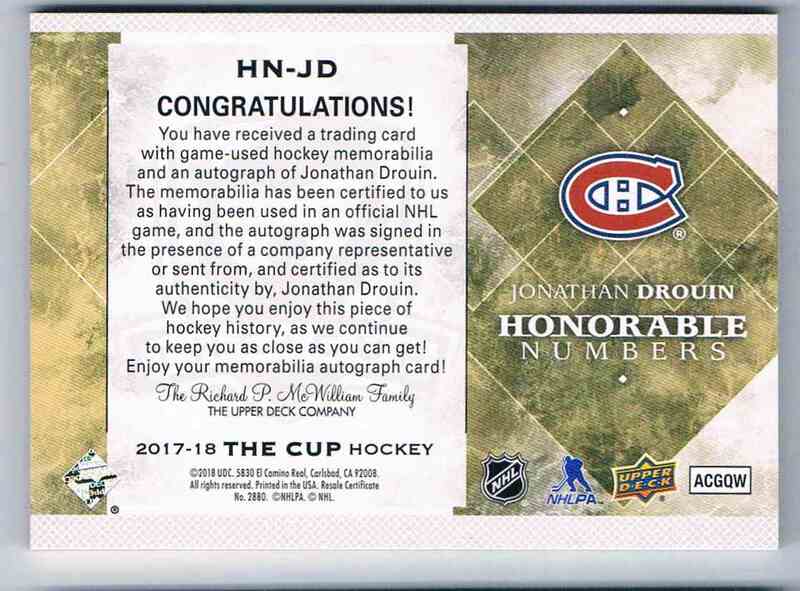 It comes from the 2017-18 The Cup Honorable Numbers set, card number NH-JD, embedded Dual Patch 3 Colors, serial numbered 15/92. It is for sale at a price of $ 120.00.